Neatorama points to a collection of old advertising of the creepy nature. Like a passive-aggressive pervert, advertising gropes you with their politically incorrect piece to grab your attention. 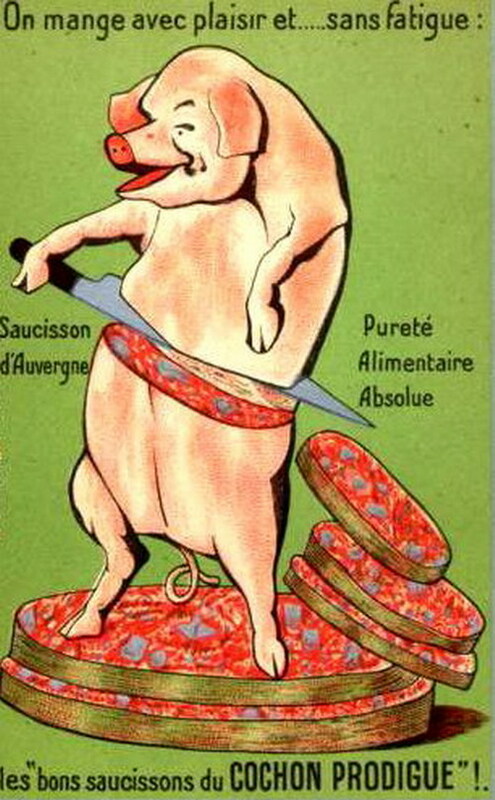 Nothing like an ad of a pig slicing itself up to make you feel like a... well, pig, for participating in 'the devil's work'. Some of the ads are more humorous, than horrific. Though, it will be interesting to see which campaigns make the creep list in the future. Subservient chicken and/or God of War goat, anyone? Are you one of the creepy ones Eric? Anyway, this would make a good ad for bacon that turns ppl vegetarian.